Complete set with Custom Engraved Sign and Desk Holder. Traditional style measuring 2" tall, and 8" wide. 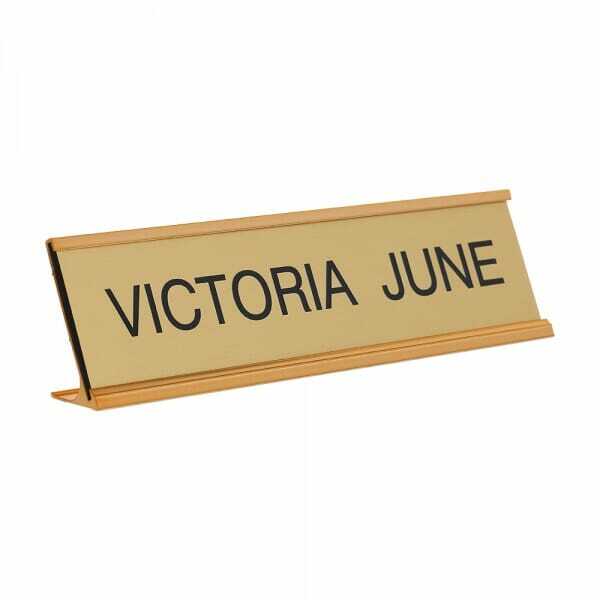 Customer evaluation for "Custom Engraved Sign/Desk Holder Complete- Traditional 2" x 8""